One of the masters of Italian gothic horror of the 1960s, director Antonio Margheriti was born in Rome on September 19, 1930. The son of a railway engineer, Antonio was the first of the Margheriti clan to enter the world of filmmaking (a trend his son actor-director Edoardo continues to the present day). Working throughout the late '50s as a screenwriter and film editor, Margheriti made his directorial debut with 1960's Space Men. A science fiction ditty about an interstellar reporter who discovers a voyaging space vessel has the capability to destroy Earth, Space was popular enough to set the director's career in motion. After Space, the director spent the first half of the '60s helming various sci-fi and peplum offerings including 1961's Planet of the Lifeless Men and 1962's The Golden Arrow starring Tab Hunter. His first horror outing was 1963's gothic strongsuit The Virgin of Nuremberg (AKA Horror Castle). A pretty young wife arrives at her husband's ancestral home only to discover a marauding murderer dubbed 'The Punisher' lurks within the castle walls...and the ruthless moralist is out to slay all those he deems naughty. The rather slight story of Virgin is given more than ample life by Margheriti, thanks to its beautiful sets, moody outdoor photography and its creepy scar-riddled finale. Next up was 1964's Danza macabra (AKA Castle of Blood). Starring horror maven Barbara Steele and shot in crisp black and white, Danza tells the story of a poor skeptic who (upon a wager) agrees to spend a night in supposedly haunted Blackwood Castle. But can he make it through the evening...or will he be doomed to spend eternity with undead lovely Steele? The same year, Margheriti gave us The Long Hair of Death. On suspicion of practicing witchcraft, a 15th century mother is put to death. Will the woman return from the grave for revenge or will her lovely daughter (Steele again) exact vengeance on her own? The director took a break from terror films for the latter half of the '60s before returning to the genre with 1968's giallo School Girl Killer. A black gloved psycho stalks the sweeties at St. Hilda's girls school...could it be the weird groundskeeper...or the icy headmistress? Decent atmosphere graces Margheriti's late '60s entry into the gialli format. The beginning of the new decade saw Margheriti helming 1971's In the Grip of the Spider, a color remake of his own Edgar Allen Poe tale Danza macabra. In 1973, Margheriti directed the lackluster but still enjoyable Seven Deaths in the Cat's Eye and also co-directed Andy Warhol's bloody sexromp Flesh for Frankenstein. The following year Margheriti jumped in again for Warhol, co-directing 1974's Blood for Dracula. After a spate of western and action adventure films, Margheriti jumped back into horror waters with 1979's thoroughly fun Killer Fish. With an enjoyable cast (Lee Majors, Karen Black and Margaux Hemingway et al. ), Fish concerns a cache of stolen gems hidden in shallow pirahna infested waters. Guess who goes diving for the booty? Guess who gets puréed? 1980 saw Margheriti release his excellent Cannibal Apocalypse. Vietnam vets Norman (John Saxon) and Charlie (John Morghen) return home from the war only to discover they both have a craving for human flesh. Turns out the poor soldiers have carried a cannibal virus from the jungles...and it won't abate until they feast on live sinew. 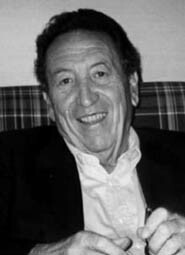 Margheriti continued to work throughout the remainder of the '80s, mainly contributing a spattering of action adventure and sci-fi entries (such as 1982's Hunters of the Golden Cobra and 1983's Yor, the Hunter from the Future). Direttore Antonio Margheriti died in November of 2002 at the age of 72.